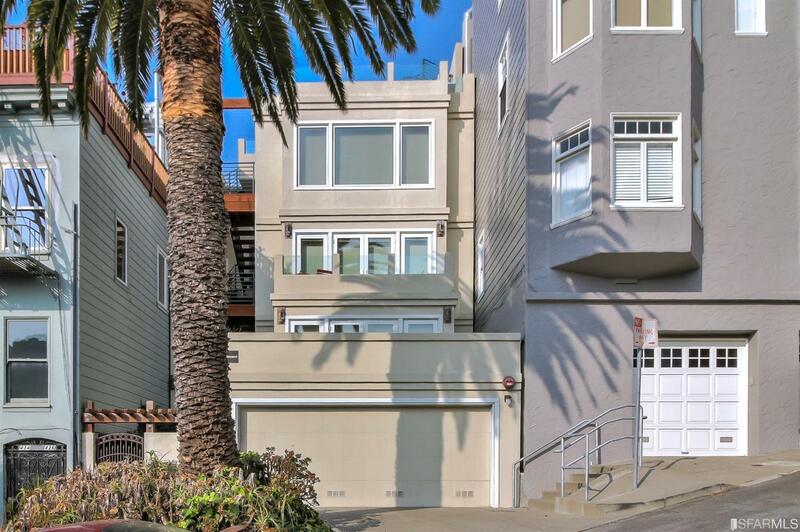 At the top of Telegraph Hill is this gracious and elegant TIC home. 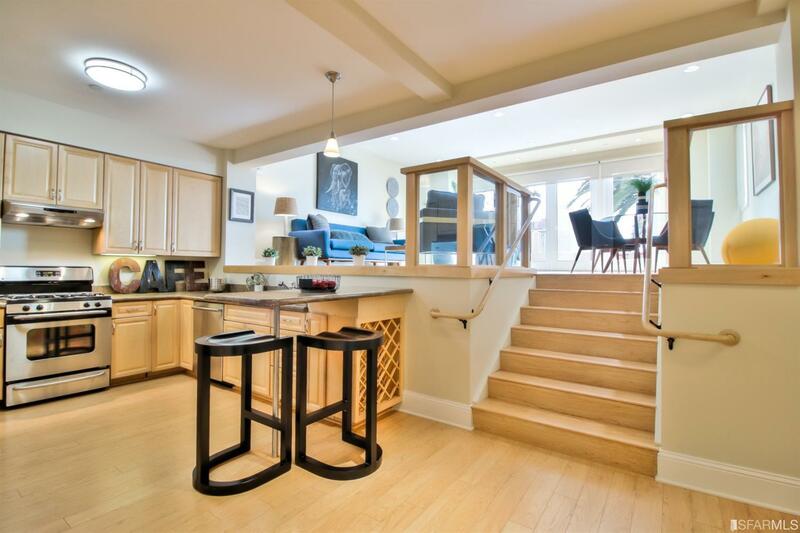 Unique and open, split level floor plan. 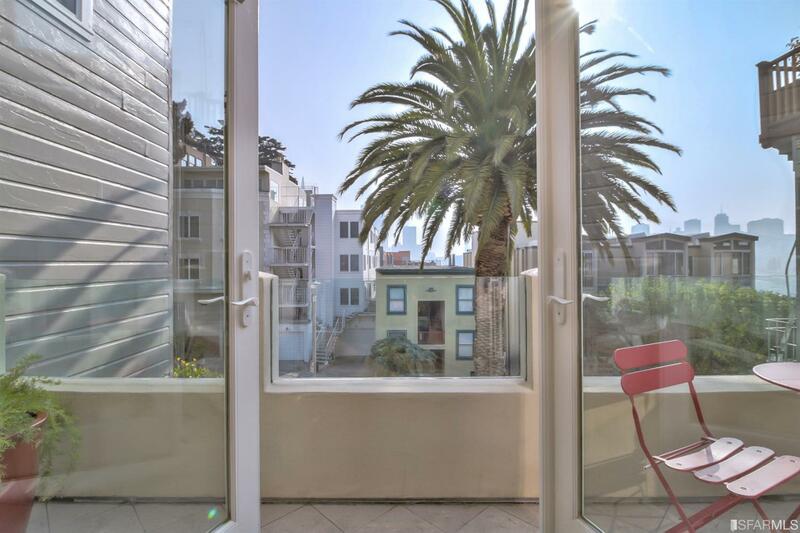 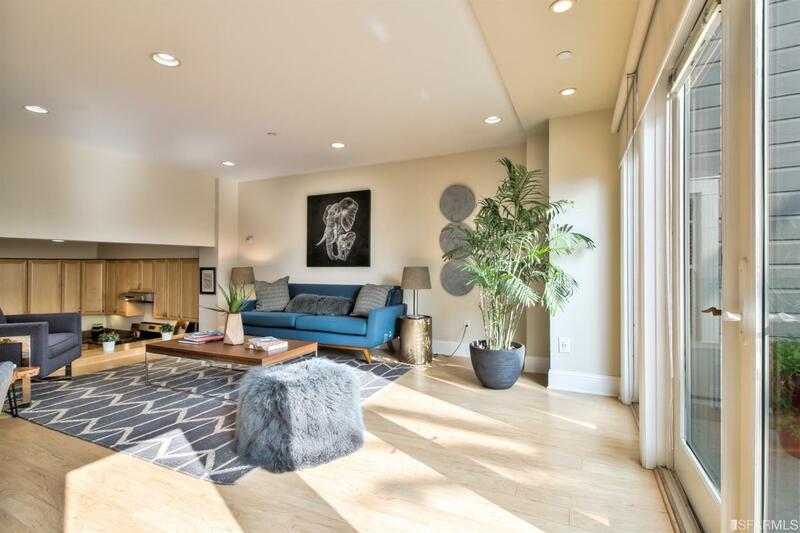 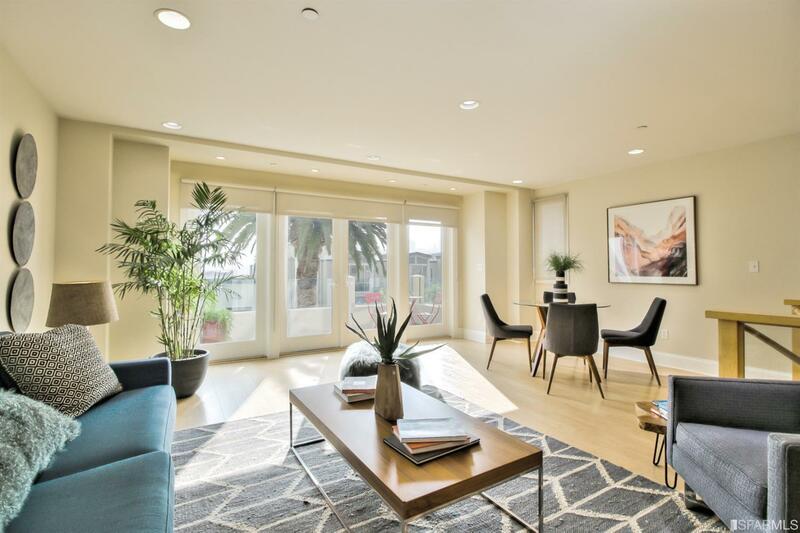 The upper level is a generously spaced living area with recessed lighting and french doors opening to a private deck with views of Nob Hill, Russian Hill and beyond. 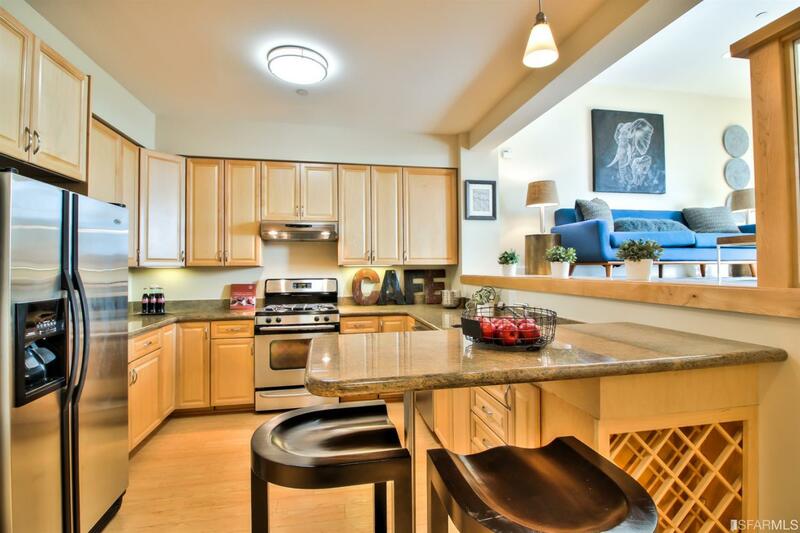 Off the main entrance foyer is an open, well thought out kitchen with stainless appliances, a breakfast bar and granite counters. 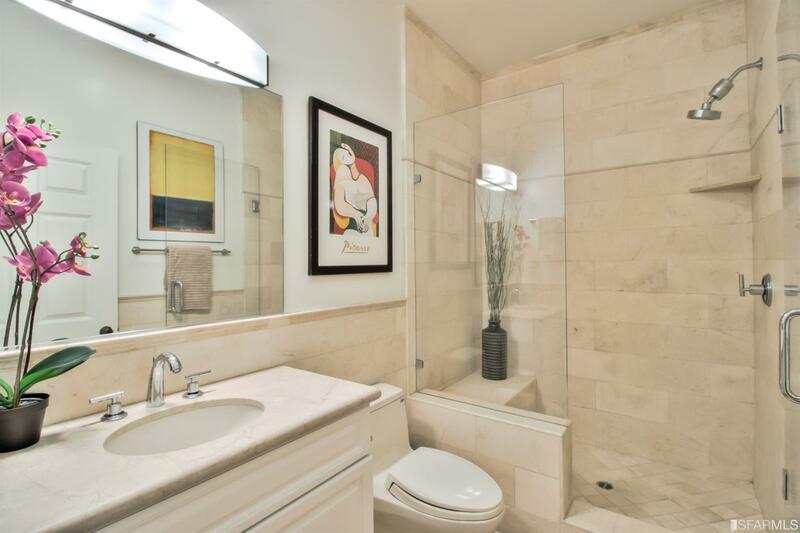 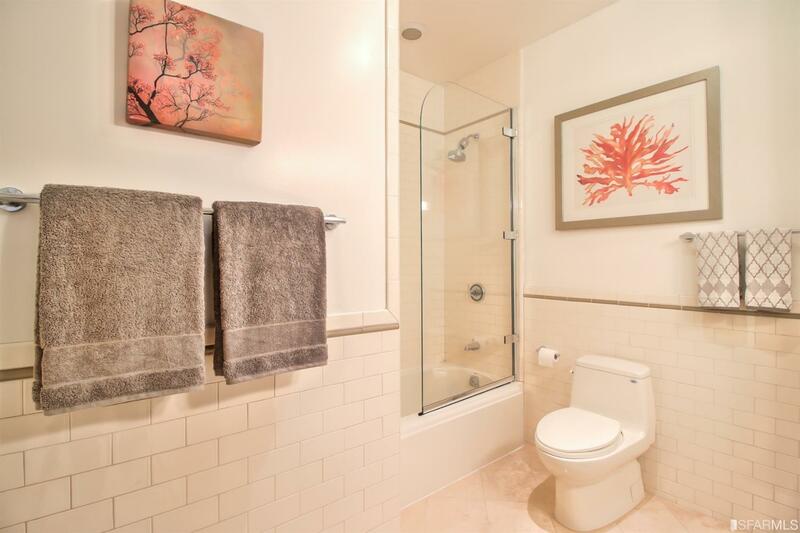 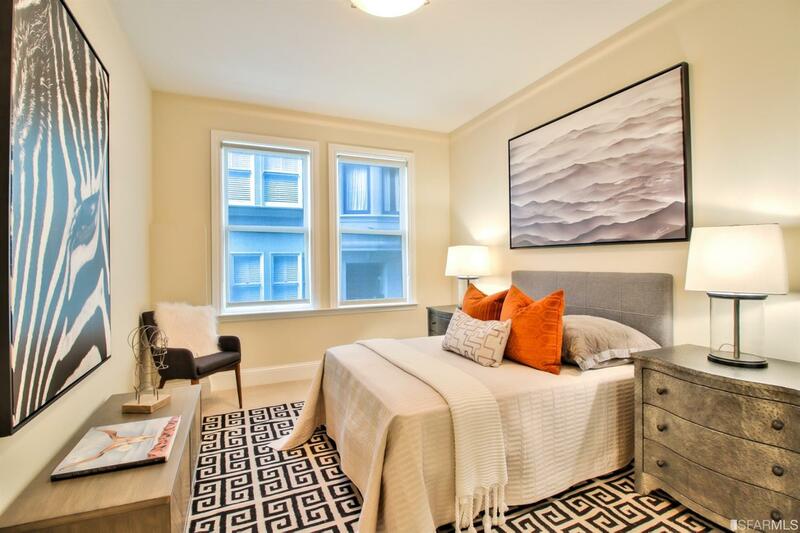 A tastefully appointed bath with a walk-in shower, laundry closet, storage closets and street access to Telegraph Pl. 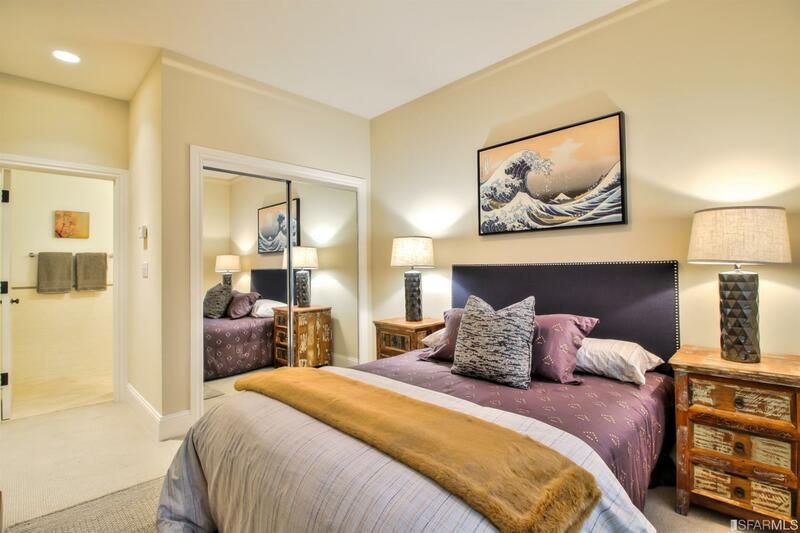 are on this lower level, as well as, two spacious bedrooms, one being the master suite with a full bath.